There are a couple of unusual things about today’s post. 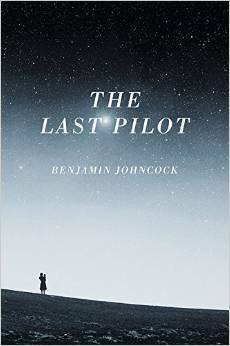 One is the profound effect Benjamin Johncock’s novel The Last Pilot has had on me. The other is the fact that I have never before spent three years anticipating a debut novel by someone I didn’t know, which I did from the moment I read his short story The Rocket Man in a Fiction Desk anthology in 2012. It made my Summer Reads 2015 – I would have put money on that happening. This week has seen the simultaneous publication of The Last Pilot by Picador USA and Brighton-based Myriad Editions and it is clear that it’s going to be massive, already attracting reviews like this in The Washington Post, which captures the novel brilliantly. My mini-review follows the post but first, the reasons this book has such strong resonance for me: On the creative front, I was inspired and impressed by Ben’s handling (as a Brit) of American voice, character and setting and the story of a marriage in crisis, both of which are central to my own writing. And having seen a close friend experience one of the events in the book undoubtedly affected my response to it. IC: Your novel reads like a flawless example of American writing and was first picked up in a prestigious deal with Picador USA. I know you’re British but automatically assumed you had lived or travelled extensively in America, so I was astonished when you told me you have only ever spent four days there! How on earth did you pull this off? BJ: Firstly, thank you very much. It’s funny, actually—when Picador USA were first reading The Last Pilot on submission, and my biography said I lived in Norwich, they thought I was based in Norwich, Connecticut… so that was a nice, unintentional compliment. I just immersed myself in the world of my characters; in old astronaut autobiographies, documentaries, interviews, footage, transcripts, history – the works. I even chewed my way through packs of Beemans (I didn’t smoke my way through packs of Lucky Strikes though). And I guess I grew up watching America. As a kid, living in a small town in England in the eighties, I looked to America. It was exciting, exotic, romantic, epic—in ways that Canterbury somehow… wasn’t. Aside: I actually spent most of those four days in a movie theatre—I’d flown over for the US release of Star Wars Episode I (I can’t bring myself to write the full title). An old friend of mine was staying in a time-share apartment just outside Williamsburg for a couple of weeks, so he said, hey, why don’t you jump on a plane, and we’ll catch the movie together (it wasn’t opening in the UK for another three months) – it’ll be fun. And it was. More so than the movie—the less said about that the better. Your dialogue is particularly convincing and authentic and yet much lies in the unsaid, one of the book’s many cinematic qualities. In the acknowledgements you credit a lot of ‘motion pictures’ – is there a link there? 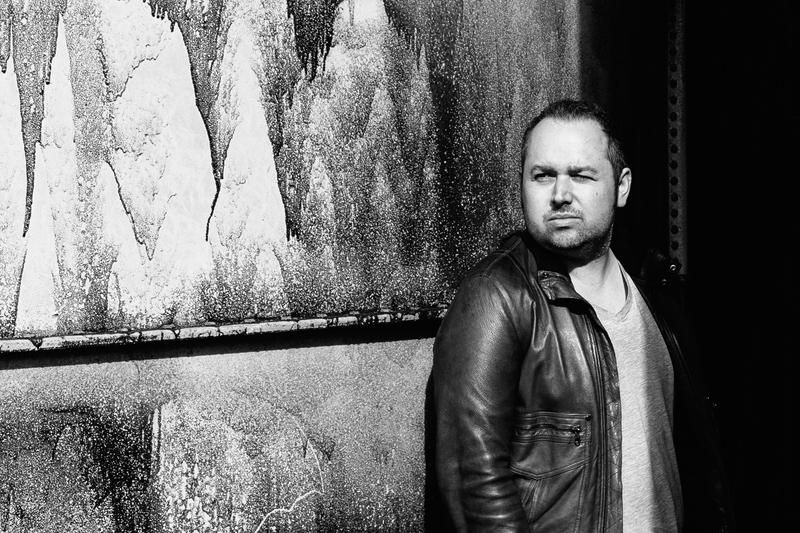 The credit was for research, but I do have a very visual imagination – it’s the way my mind tends to work. And I love American cinema. You tell me that you hated science and maths at school and gave them up at the earliest opportunity, and yet in order to write The Last Pilot you had to firstly acquire a lot of technical knowledge on the space race and then judge how much to include for the reader. (I think you got it just right.) How did you go about this? That wasn’t quite the approach I took – which I think could lead to problems, as you touch on. I guess I never really thought of it as research, because I love this stuff so much, and always have done. I just started writing and filled out any technical stuff as and when the story needed it. I’m not really interested in the technical side of things. That’s not what the story is about. Everything has to serve the story. Despite the vivid portrayal of the challenges and opportunities faced by Jim Harrison as a test pilot, this is without doubt a book about people, not machines. It has a rare emotional openness and vulnerability that suggests you really ‘felt’ the story. Am I right? What was it like to write? When I was about three or four, my dad would read to me from a book he had about the Apollo missions. It wasn’t exactly The Gruffalo, but I loved it. This would have been about 1981/82 and the book, which was called Moon Flight Atlas by Patrick Moore, was published in 1970, just after the near-disaster of Apollo 13—and focused on that. I was utterly captivated. But for me, it was never about the rockets, the machines—it was about the men. And you’re right: the story of The Last Pilot isn’t about the space race, it’s about a marriage in crisis, and how one man deals with a devastating loss. If this is how you write, I bet you have good taste in books. What was the last novel you read that moved you the way yours moved me? I remember Ishiguro’s Never Let Me Go affected me in a deeply profound way. It just spoke so directly to what it means to be human in a way I’d not encountered in fiction before. It was very powerful, and remains one of my favourite novels of all time. Thank you to Ben for giving such interesting answers to my questions as well as huge congratulations on the book. I’m going to keep this short because I clearly don’t have much hope of being objective and a lot of what I admire about the novel has already been mentioned above. In a nutshell, The Last Pilot vividly evokes period, place and technological endeavour but with the heart, not the heavens as its universal subject. The transcendent beauty of the prose owes much to its restraint and rawness, absolutely symbiotic with the story it sets out to tell. It is exquisitely tender – I didn’t so much read this book as feel it, and that takes real talent. * The UK edition is a paperback original – book clubs take note! – and signed copies are available from Big Green Bookshop with free UK P&P. Next week loyal Literary Sofa reader and commenter Anne Goodwin joins me in the latest in the series on routes to publication, marking the release of her debut Sugar and Snails by independent publishers Inspired Quill. Looking forward to reading this as it’s the book everyone is talking about. I have a thing for books and films set in the Mojave desert. It’s a really interesting part of the US and spent a couple of weeks there. Love the idea of flying over to the States, just to see a movie which isn’t all that great. I’ve heard about this one sounds intriguing. I love what you said about telling your American publishers you were from Norwich – we all make assumptions that fit our expectations.